Hello people of the internet!!! On today’s ‘YouTube Wednesday’ we are going to discuss an awesome singer/songwriter that y’all will love! If you haven’t heard of Samantha Dorrance then remember her name now, because you will keep hearing her name for YEARS to come. Samantha is a singer/songwriter/actress/dancer/and TV presenter, who has been featured on Disney Channel (both in the U.K. and U.S.), on the BBC1 show Doctors, and in multiple theatre productions. So now let’s get to what you came here for, let’s talk about the music! Ready? Let’s go! The first thing that we’re going to talk about, is Samantha’s cover of ‘Cups (When I’m Gone)’ (uploaded on July 6th, 2013, you can check out the video below) which was performed by Anna Kendrick in the movie Pitch Perfect. This was a really fun cover to watch because Samantha is able to show that she can captivate an audience, and hold their attention from the first second of the performance to the last. Honestly if she does this well with just a cup and her voice, I can’t imagine what else she is capable of. This version of ‘Cups (When I’m Gone)’ will definitely be stuck in your head ALLL day, and you wouldn’t want it any other way. Next up we’re going to talk about Samantha’s cover of ‘Kiss Me’ by Sixpence None The Richer, which was uploaded on May 21st, 2014. This is another really fun video that really shows off Samantha’s vocal ability and natural presence in front of the camera. This is a beautifully shot video, which really adds to the romantic, whimsical feel of the song. Fans will love that Samantha was able to make a rendition of this song that keeps the vibe of the original version, but also adds a little something extra that makes it feel like a Samantha original. Next up we’re going to talk about Samantha’s cover of Love Me Like You Do’ by Ellie Goulding, which was uploaded on January 23rd, 2015. This video was done as a collaboration with YouTube producer/songwriter Shaun Reynolds, and will definitely blow you away once you hear it. The cover is very entertaining, and will make you an instant fan of Samantha’s distinctly unique voice. We really get to see the large range of Samantha’s vocal talents, and you will definitely replay this song all year long (yeah it’s seriously THAT good). The final song that we’re going to talk about actually isn’t a cover. Yup, we’re going to talk about Samantha’s latest original song! The latest song that you’re going to HAVE to add to your playlists is called ‘Going My Way’, and the official music video was uploaded on March 2nd, 2015 (you can check out the video below). This is another really sweet song that will just make you feel really happy, and will have you singing along really quickly. The story revolves around a girl who hasn’t been in great relationships before but now is with someone who makes her feel insanely happy (sounds like the relationship a lot of us have with Starbucks, doesn’t it?). This is another video that is very well shot, and definitely lives up to creativity and professionalism that we now know is Samantha’s trademark. This video gets 5 balloons up (you’ll get this reference once you see the video), and you should definitely subscribe to Samantha to see what else she has in store! All credit goes to Samantha Dorrance, YouTube, Twitter, Instagram, Facebook, Disney Channel, BBC1, Chris Murry, the writers, producers, creators, distributors, and anyone else involved in any way, shape, or form with the TV show Doctors, Anna Kendrick, Republic Records, Universal Music Enterprises, A. P. Carter, Luisa Gerstein, Ali Dee Theodore, Harvey Mason Jr., Jordan Yaeger, Lulu and the Lampshades, Sixpence None the Richer, Squint Entertainment, Columbia Records, Matt Slocum, Steve Taylor, Ellie Goulding, cherrytree records, Interscope Records, Max Martin, Savan Kotecha, llya, Ali Payami, Tove Nilsson, Natt Webb, Tommy Reynolds, Michael Mowbray Jack Lloyd, Elliott Blower, Aidan Underhill, Mike Groves, Dino Franchi, any companies, individuals, and/or businesses that should receive credit for anything mentioned in this blog post, and all original owners. I do not own anything in this blog. If any people, corporations, businesses, companies, etc, were not previously given credit for their work, they are given credit now and their previous absence was unintentional. All opinions expressed in this blog are my own. I wrote this blog for entertainment purposes and no copyright infringement is intended. 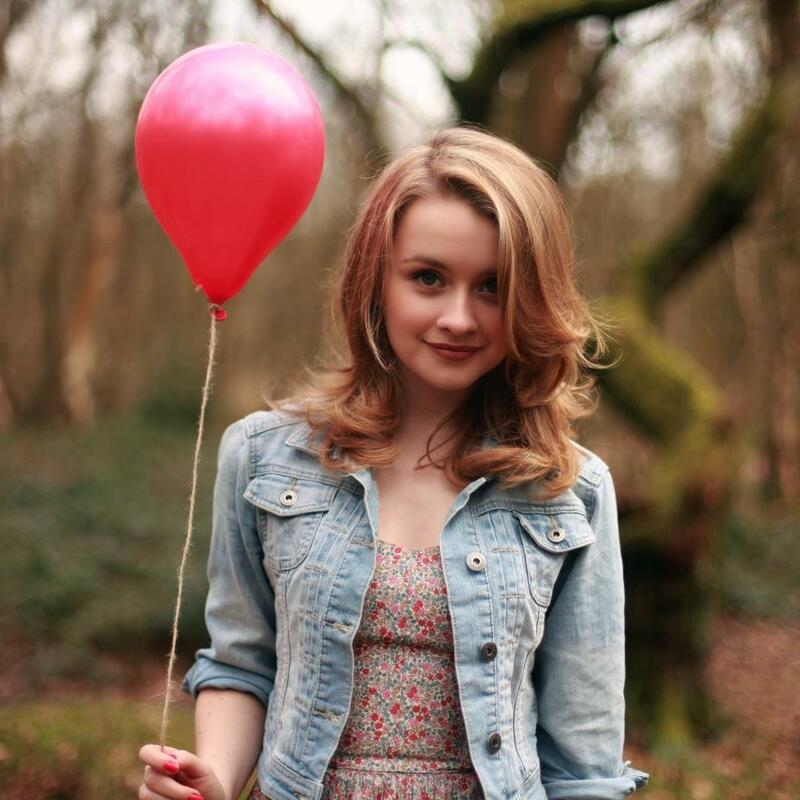 celindareyesblog April 29, 2015 No Comments on YouTube Wednesday: Samantha Dorrance…the YouTuber that you will have on replay all year. Category: YouTube Wednesday. Tagged: A. P. Carter, Aidan Underhill, Ali Dee Theodore, Ali Payami, Anna Kendrick, artist, BBC1, cherrytree records, Chris Murry, Columbia Records, Dino Franchi, disney channel, Doctors, ellie goulding, Elliott Blower, facebook, Harvey Mason Jr., instagram, Interscope Records, Jordan Yaeger, llya, Luisa Gerstein, Lulu and the Lampshades, Matt Slocum, Max Martin, Michael Mowbray Jack Lloyd, Mike Groves, music, Natt Webb, new, republic records, Samantha Dorrance, Savan Kotecha, show, Sixpence None the Richer, Squint Entertainment, Steve Taylor, Tommy Reynolds, Tove Nilsson, tv, twitter, Universal Music Enterprises, youtube. Hello people of the internet!!! On today’s ‘Monday Memos’ we are going to discuss an AMAZING band that you will have on repeat all year. If you haven’t heard of the awesome pop punk/Christian rock band Hawk Nelson (which is hard to believe considering their music has charted at #1 on VH1’s ‘Top 20 Countdown’, and they have been nominated for numerous of the music industry’s top awards), then be prepared to become addicted to their music. What’s really cool about this band’s sound is that it has a wide variety of influences, so whether you like pop, punk, or rock, you will find songs that you love! Their new album ‘Diamonds’ dropped today (March 17th), so y’all should all definitely pick up a copy (I promise you won’t be disappointed). So, if you’re not already a Hawk Nelson fan, please read on and prepare to become obsessed. The first song we’re going to discuss is the band’s song Shaken, (which is off of their 2009 album ‘Live Life Loud’, you can check out the official music video for the song below). This is a really powerful song that will instantly grab your attention and won’t let go until the last note. I love that the lyrics have a really powerful message about a person being “shaken” by something and because of this, wanting to find out how they can make a difference. The music video for this song is also extremely powerful, and will definitely make you wonder what you could do to make a positive difference in the world. The next song that we’re going to talk about is Hawk Nelson’s single ‘Words’ (which is off of their 2013 album Made). I thought that this was a good song for us to talk about next because so many problems that we have in our day-to-day lives is caused by words. As this song explains, words have the power to lift us up, or tear us down. I think that this song is the perfect anthem for all of the bullying that so many people face daily at work, school, home, and even over the internet. Now we’re going to discuss two of the new songs off of Hawk Nelson’s latest album Diamonds. The first song that we’re going to talk about is the band’s single ‘Drops In The Ocean’ (you can check out the official music video below). This is a really sweet song about someone loving & forgiving you unconditionally. The lyrics in this song really leaves a powerful impact. Whether you think of God, a family member, a friend, or someone else when you hear this song, I definitely think it’s one that we can all relate to. The final song that we’re going to discuss is the title song of the album, ‘Diamonds’. Now even though I LOVE so many of Hawk Nelson’s songs, I have to say that this one is my one of my top favorites. This is the perfect song to kick off your spring/summer playlists with! It is an energetic, uplifting song about God helping you take the negative things in your life, and turning them into positive things. With all of the pressure that we face in our day to day lives, it’s nice sometimes to hear that everything will be ok, and this song will definitely leave you feeling that way. Judging by these two songs, I definitely think that this album is a must have for anyone who loves AMAZING music! Hawk Nelson, YouTube, Twitter, Instagram, Facebook, VH1, all other artists featured on any of Hawk Nelson’s albums that were featured on this blog post and their respective sponsors/agents/manager/etc., any businesses mentioned in any of the videos featured in this blog post, and all original owners. I do not own anything in this blog. If any people, corporations, businesses, companies, etc, were not previously given credit for their work, they are given credit now and their previous absence was unintentional. All opinions expressed in this blog are my own. I wrote this blog for entertainment purposes and no copyright infringement is intended. celindareyesblog March 18, 2015 No Comments on Monday Memos: Hawk Nelson…your new favorite band has arrived. Category: Monday Memos. Tagged: amazing, artist, band, blog, christian, diamonds, drops in the ocean, facebook, gospel, Hawk Nelson, instagram, music, new, pop, post, punk, radio, rock, twitter, VH1, words, youtube. Hello people of the internet!!! On today’s ‘Monday Memos’ I have a cool new interview with Hannah Michaels to show y’all. If you missed the first blog post that Hannah was featured in, you can check it out here: Monday Memos: Hannah Michaels. Also, if you haven’t checked out Hannah’s music video for her new single entitled I’m Not Runnin’, then please check it out below (spoiler alert, it’s AWESOME!). In this interview we’re going to discuss Hannah’s music, influences, where she sees herself in the future, and so much more. I am so excited that we’re all getting the opportunity to get to know Hannah better, because she is definitely a star on the rise! In fact, she is currently working on new music with Steven Solomon, who co-wrote and produced Sabrina Carpenter’s (from the Disney Channel hit show Girl Meets World), new single, We’ll Be The Stars, which was recently released through Disney/Hollywood Records. So if y’all are ready let’s dive into the interview! Celinda: Hi Hannah. So to start off, how would you describe your sound? Hannah: Hi. My sound is somewhat pop alternative, but I have a large interest in exploring, shaping, and expanding my sound. I wouldn’t consider it completely categorized or completed yet. Celinda: So, what/who inspired you to pursue a career in music? Hannah: I have always been in love with music, but growing up my older brother majorly inspired me, as he is also a very passionate musician. Celinda: Very cool, so was there a specific moment that you knew that you wanted to become an entertainer? Hannah: I have always known that I wanted to pursue music, but there have definitely been moments performing for my close friends and writing music that have continued to inspire me. Celinda: What artists/bands have inspired your music, that might surprise fans? Hannah: Well, Sara Bareilles, Karen O, Ingrid Michaelson, and Norah Jones are all huge inspirations to me as a writer and a musician. Celinda: I can definitely see those inspirations in your stylizing. So what was it about I’m Not Runnin, that made you want to release it as your debut single? Hannah: Jay and Rachel worked on it with me, and they are extremely talented writers. Also, I think that the song is very powerful and a pleasant lighthearted song that I saw a lot of potential in. Celinda: Where do you see yourself in 10 years? Hannah: In 10 years I hope that I will have shaped myself as a musician and as a writer, and that I will be continuing to pursue music. Celinda: Great! Lastly, do you have anything else to add for your fans who may be reading this interview? All photos and information used in this blog belong to YouTube, Facebook. OfficialHannahMichaels. Google +, Hannah Michaels, Rachael Taylor, Twitter, Sabrina Carpenter, Dsiney Channel, Girl Meets World, Steven Solomon, Disney, Hollywood Records, Cameron Walker, Skyler Stonestreet, Steve Miller, and all other original owners. I do not own anything in this blog. If any people, corporations, businesses, companies, etc, were not previously given credit for their work, they are given credit now and their previous absence was unintentional. All opinions expressed in this blog are my own. I wrote this blog for entertainment purposes and no copyright infringement is intended. celindareyesblog January 26, 2015 1 Comment on Monday Memos: Hannah Michaels Interview. Category: Interviews, Monday Memos. Tagged: artist, cameron walker, disney, Dsiney Channel, Facebook. OfficialHannahMichaels. Google +, girl meets world, Hannah Michaels, Hollywood Records, I'm not running, music, new, Rachael Taylor, Sabrina Carpenter, Skyler Stonestreet, Steve Miller, Steven Solomon, twitter, youtube. Hello people of the internet!!! On today’s ‘YouTube Wednesday’ blog post, we are going to discuss an amazing new country singer that you ALL need to keep a close eye on. 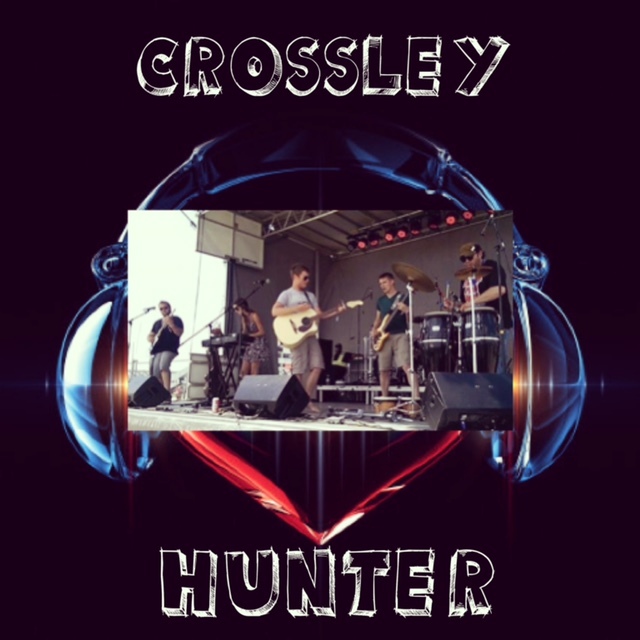 This talented young musician is an extremely talented writer, guitarist, and vocalist who is quickly on the verge of becoming country music’s next big star. 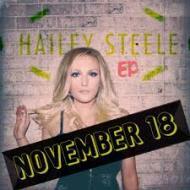 Remember the name Hailey Steele everyone, because you will be hearing this name EVERYWHERE very soon! Hailey already has a very impressive resume, due to her appearances on NBC’s ‘The Voice’ (as a part of a country duo called ‘THE LINE’, she was on Team Christina) and Jay Leno’s ‘The Tonight Show’. She has also has had the honor of sharing the stage with legends such as Willie Nelson and Neil Young. She has also had the honor of being inducted into the South Dakota Country Music Hall of Fame. Hailey is currently signed with BMG Chrysalis Nashville (where she is signed to an exclusive songwriting deal, and has even co-written on fellow ‘The Voice’ alum and country music recording artist RaeLynn’s single ‘Boyfriend’) and is set to release her debut EP on November 18th, 2014. So needless to say, Hailey an artist on the rise please read on so you don’t fall behind. Hailey uploaded her first original song on YouTube on March 4th, 2012. The song is entitled ‘Electric Blue’ (ELECTRiC BLUE – HAiLEY STEELE) and I think that it is an excellent introduction to just how talented Hailey is. I love how Hailey is instantly able to capture your attention, and leave you under her spell for the duration of the song. This ability really shows just how much of a natural star Hailey is, because not only is she singing while playing the guitar (not an easy task because you have to focus on multiple things at once), but she’s also performing the song in such a way that once the song ends, you instantly want to hear more. The next song that we have to talk about is Hailey’s performance of ‘Boyfriend’ (Hailey Steele – Boyfriend, uploaded on October 6th, 2013) by RaeLynn. I really loved hearing this version of the song, because Hailey and RaeLynn have very different tones and styles, so it is fun to hear this song performed in a fresh way. I loved that Hailey was able to really bring out the sass and attitude in this song, and she definitely makes you just wanna get up and dance. Since ‘Electric Blue’ was a more heartfelt, emotional song, I thought that ‘Boyfriend’ was a fun contrast, and it definitely proves that Hailey is a well rounded artist that can make you cry one minute and then get up and dance the next. The final song that we are going to talk about in this post is my FAVORITE song on Hailey’s YouTube channel, entitled ‘Diamonds’ (Diamonds-Hailey Steele), which she uploaded on January 12th, 2014. I really love this song because it’s fun, catchy, and has a great message that everyone can relate to (basically all of the ingredients to a perfect song in my opinion). I definitely think that this song could be a MAJOR hit, and it makes me excited to see what Hailey will release next. I really love when a songwriter is able to express exactly what they feel through a song, but still make it something that you can jam out to, and Hailey definitely accomplishes this task. So as y’all can see, I have become a HUGE Hailey Steele fan, and I think once you hear her music, you will be too! It’s not often that an artist has a special something about them that makes you unable to turn away, and Hailey definitely has that quality. I am very excited to see where this talented artist’s career leads her, and all the AWESOME things she is going to be able to accomplish along the way. As Hailey says in her soon to be hit song ‘Diamonds’, “Diamonds take pressure, and patience, and time”. Well it is definitely this diamond’s time to shine! All photos and information used in this blog belong to Hailey Steele, RaeLynn, YouTube, Twitter, Instagram, Facebook, NBC, THE LINE, The Voice, Willie Nelson, Christina Aguilera, The Tonight Show, Jay Leno, Neil Young, the South Dakota Country Music Hall of Fame, The city of Nashville, The State of Tennessee, The State of South Dakota, BMG Chrysalis Nashville, Valory records, Big Machine Records, Universal Music Group, Leland Grant, Nicolle Galyon, Abbi Roth, Piper Rastello, Josh Harrell, Chris Gelbuda, and all other original owners. I do not own anything in this blog. If any people, corporations, businesses, companies, etc, were not previously given credit for their work, they are given credit now and their previous absence was unintentional. All opinions expressed in this blog are my own. I wrote this blog for entertainment purposes and no copyright infringement is intended. celindareyesblog October 29, 2014 No Comments on YouTube Wednesday: Hailey Steele…country music’s latest rising star is using her voice to take center stage. Category: YouTube Wednesday. Tagged: Abbi Roth, artist, Big Machine Records, BMG Chrysalis Nashville, Chris Gelbuda, Christina Aguilera, country music, ep, facebook, Hailey Steele, instagram, Jay Leno, Josh Harrell, Leland Grant, music, nbc, Neil Young, new, Nicolle Galyon, Piper Rastello, RaeLynn, The city of Nashville, THE LINE, the South Dakota Country Music Hall of Fame, The State of South Dakota, The State of Tennessee, The Tonight Show, the voice, twitter, universal music group, Valory records, willie nelson, youtube.